Dr. Haddad maintained close ties with the Neuro, often writing birthday wishes and special greetings. On one occasion he sent a copy of an article he wrote in 2000 entitled “Fifty Years Ago” recalling his arrival in Montreal and his experiences at the MNI. 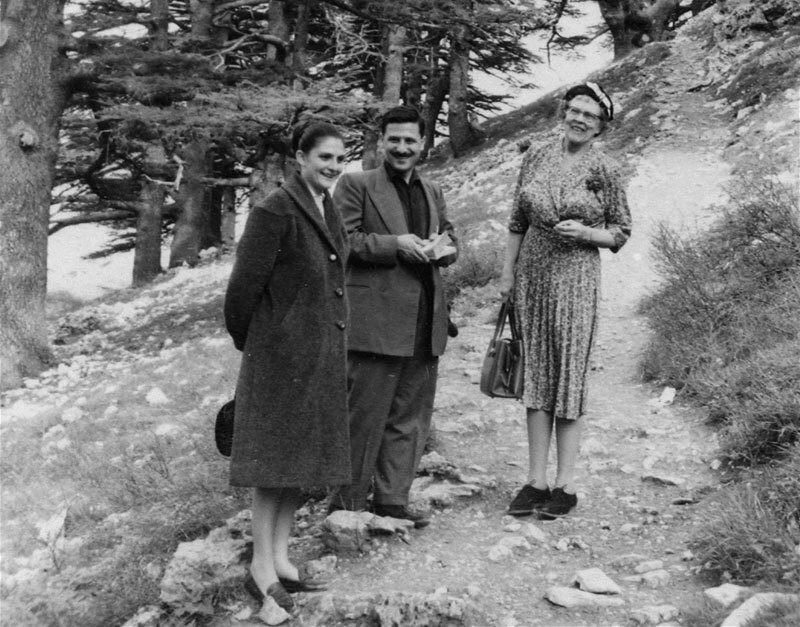 The photo shows Dr. and Mrs. Haddad with Mrs. Penfield on a visit to the Penfield Estate on the shore of Lake Memphremagog. Artist and sculptor passed away peacefully on January 29, 2016, in the Vancouver General Hospital at the age of 95. Predeceased by her husband, Harold Spence-Sales; she will be sadly missed by her family members and friends. First as a nurse, then as an artist, Mary contributed to The Neuro’s history starting in the days of Wilder Penfield. Her 1955 mural for The Neuro, The Advance of Neurology (in room 124), remains a point of interest for every visitor and tour group. In fact, identifying the faces of Penfield, Jasper, Cone and other Neuro figures depicted in the mural has become something of a rite of passage for new faculty and staff. The Neuro was fortunate to receive a second piece of Mary’s art, a glass sculpture, Neuressence in 2002, which hangs in the BTRC. 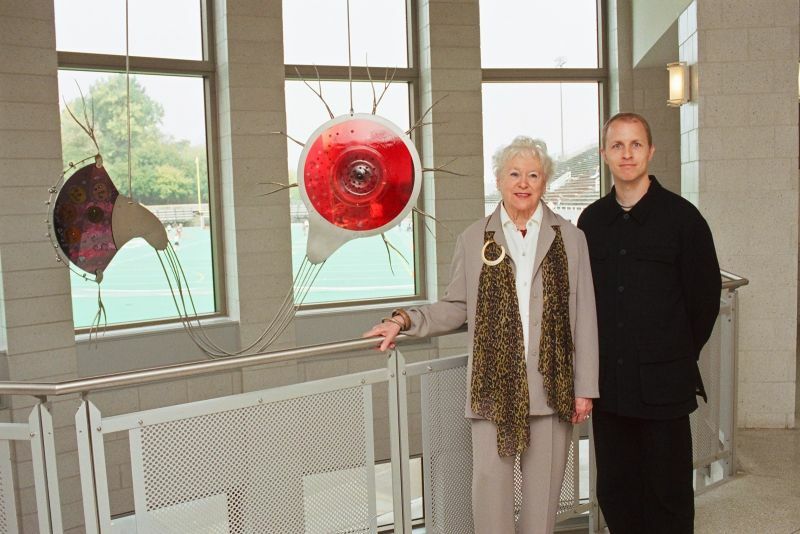 Her art at The Neuro will keep her memory alive here and we gratefully remember her. 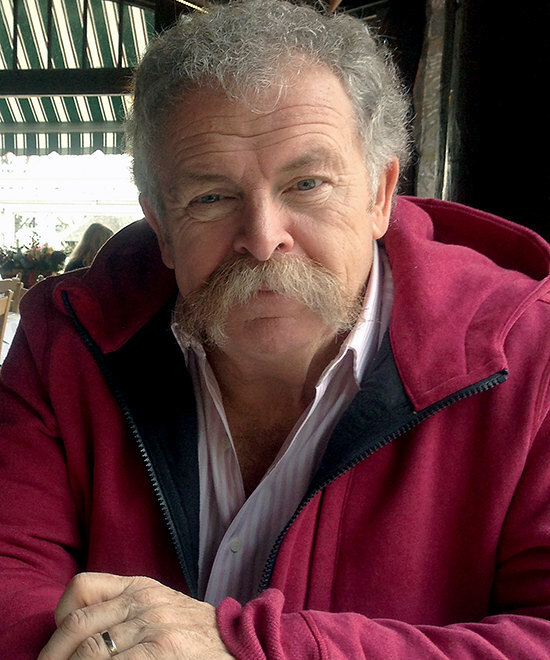 Michael McHugh died on November 28, 2015 in Montreal at age 67 after a long illness. Born in 1949, he is survived by his wife, Dr. Molly McHugh, children Oriel (Dr. Maya Leitner) and Dr. Tobial McHugh, as well as grandson, Jacob. A graduate of Selwyn House, Michael worked at the Montreal Neurological Institute with Dr. Hanna Pappius for several decades, at McGill’s Faculty of Dentistry, and spent the last couple of years doing cutting-edge research on concussions.